DAVID LE/Staff photo. 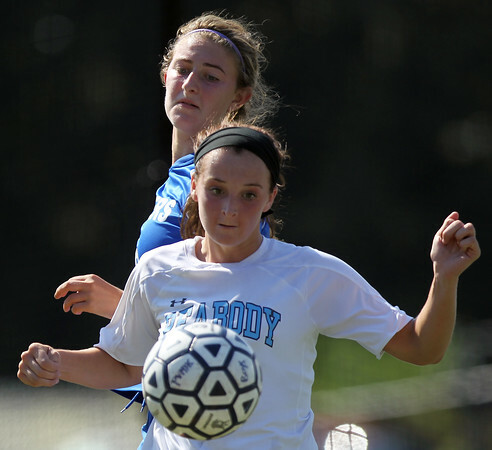 Peabody's Amanda Bradley, below, controls the ball with her chest while being pressured by Danvers senior Allie Zunick, top. 9/19/15.